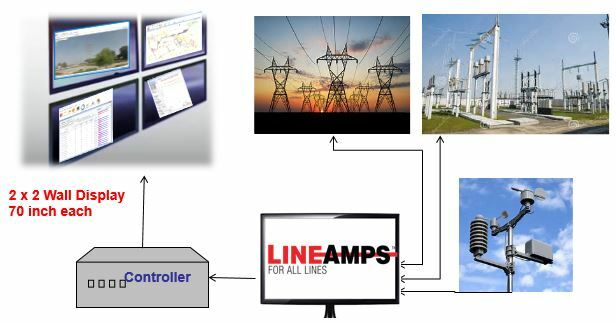 Lineamps is a complete Line Ampacity System for real-time dynamic line rating of overhead lines, underground cables, and all substation equipment in the electrical network of a region. One of the critical elements of the electric power grid are the wires and cables that are used for the transmission and distribution of electricity from generation stations including renewables to customers. Smart cities require accurate modeling of overhead lines and underground cable circuits to enable dynamic line ratings. Real-time dynamic line ratings are provided by LINEAMPS for all lines in the electrical network of a geographic region by accurate thermal and electromagnetic modeling of the wires and cables, substation equipment including power transformers and circuit breakers, that carry current during steady state conditions, dynamic and transient conditions. Real-time forecasting hourly values of line ampacity for a week in advance. Monitoring overhead line conductors, underground cables, substation equipment for over temperatures. Ampacity is calculated from weather information and line currents. Automatic weather data acquisition using the internet. Implemented for all lines in the electrical network of a region displayed in Google map. 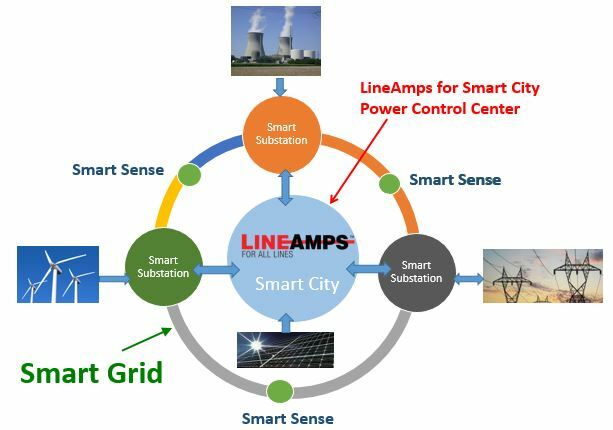 LINEAMPS is designed to be integrated into a smart grid system enabling smart cities. In a smart grid, dynamic line ratings of all lines in the system is required for optimal load-flow and for the secure operation of the electrical power system. LINEAMPS cooperates with a smart grid system to ensure greater reliability of service and optimum utilization of transmission and distribution line assets. 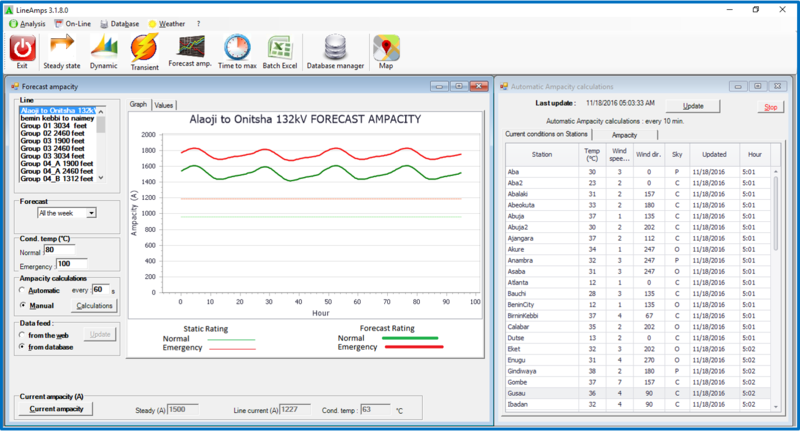 LINEAMPS system is unique in providing real-time dynamic ratings including contingency based ratings of all lines in the electrical network based on real-time weather from many weather stations, real-time line current and voltage from utility system, and geo-spatial information of network elements. 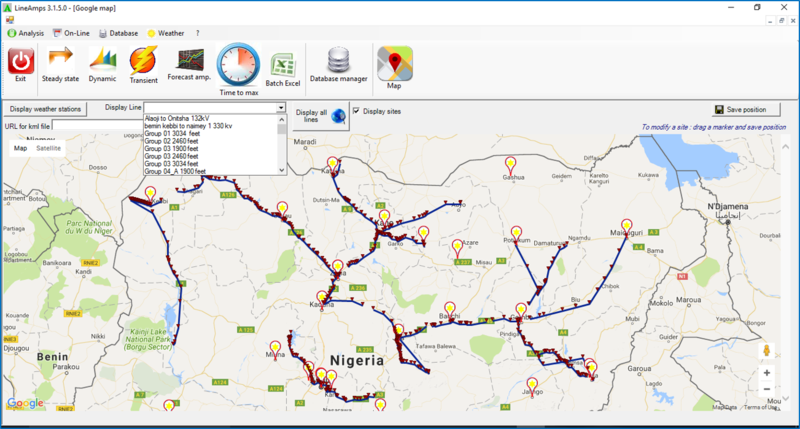 It uses standard internet based communications, smart sensors, better analytics, and real-time visualization of line ampacities in industry standard Google map.